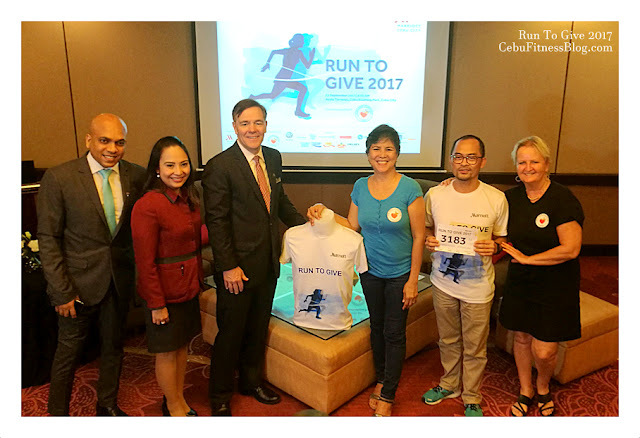 Run to Give Fun Run, Run to Help! 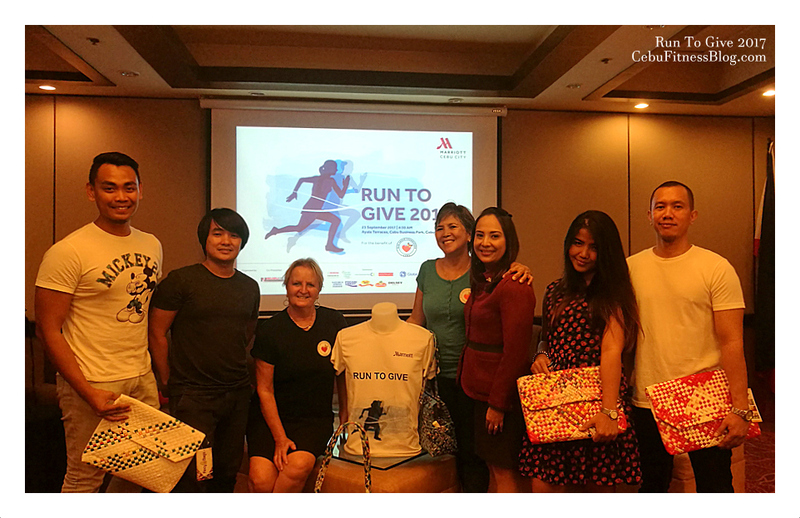 Cebu's most hospitable Hotel, Cebu City Marriott Hotel is hosting its first ever fun run. Dubbed as Run To Give 2017, this fun run which is set to be held on September 23 at Cebu Business Park, aims to help a non-profit organization, Rise Above Foundation. 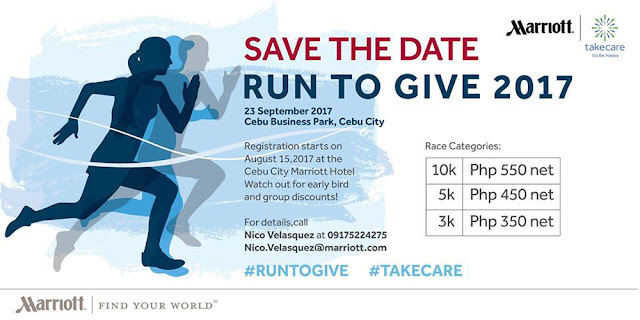 This activity is inline with the hotel's global wellness campaign called Take Care. Race Categories (inclusive of race shirts, race bibs, post-race refreshments and finisher's certificate): All finishers will get certificates. Top Three finishers will get a special awards/prizes. Excitingly, there will a raffle draw during the awards rights. Zumba party and other programs are in place. Registration is still ongoing at the lobby of Cebu City Marriot Hotel and RUNNR in Ayala Center Cebu or in online, race.ph/runtogive.